Ta’ Qali National Stadium is the home ground of the Malta Football Team as well as the main venue for matches of the Maltese Premier League. 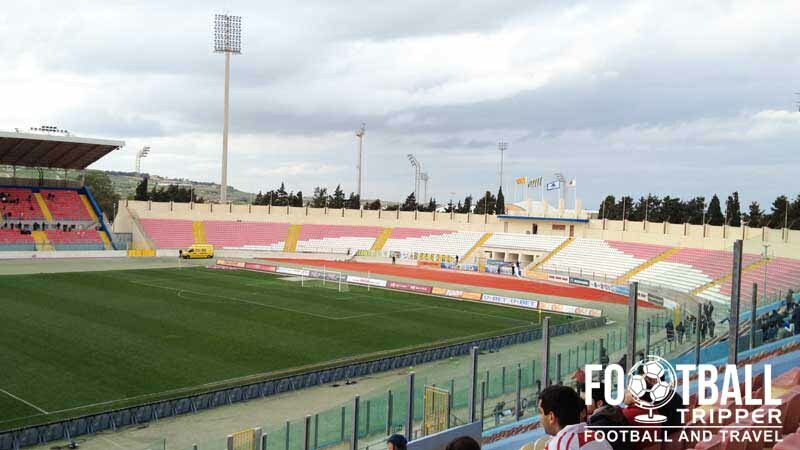 First opened in 1980, Ta’Qali is capable of accommodating just under 18,000 supporters. 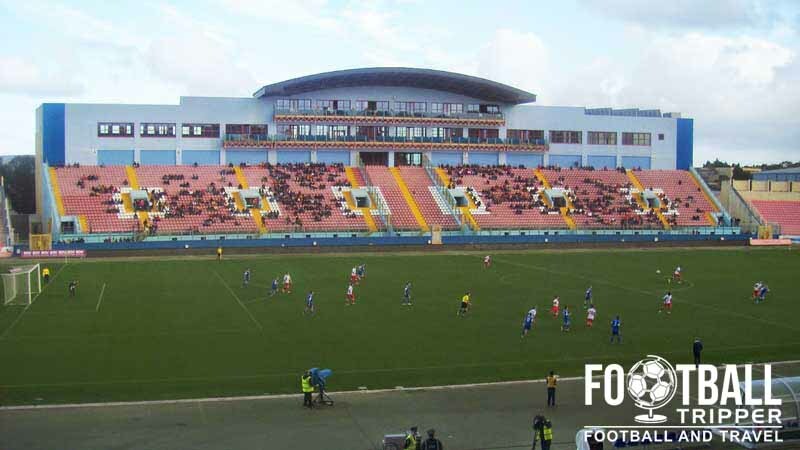 For years the island of Malta was in desperate need of its own purpose built facilities which were capable of hosting International matches in line with the stadium regulations set out by both UEFA and FIFA. Before the stadium was inaugurated in December 1981 matches were predominantly played on artificial pitches or if you were lucky, low quality grass surfaces. Municipally owned, Ta’ Qali National Stadium was constructed on a plot of land which was previously used by the military for aviation purposes during the Second World War. Managed by the Maltese Football Association, the ground sits at the heart of a wider sporting complex which contains gyms, offices and training facilities. The stadium has undergone renovations over the years to keep apace of other European Stadiums. The Maltese FA first founded in 1900, however full affiliation with UEFA came in 1960. The most recent renovation work came in 2003 when the East Stand was completely rebuilt. Capable of seating 4,700 supporters, the stand now known as the Millennium Stand, contains 6 executive boxes, various corporate facilities as well enough office space to house the Football Association of Malta. Ta’ Qali is comprised of four stands arranged in an oval shape: North, Millennium (East), South and Main (West). There must be some reason why numerous football teams often use Malta as a training base during the winter months! Not only is the Island of Malta incredibly beautiful, the weather is unbeatable as it’s warm pretty much all year round. When West Ham played Birkikara in the second leg of a Europa League qualifier at the start of the 2015/2016 season the away fans were housed within the Millennium stand. The Maltest Ulrtras or Maltras as I like to think of them as are known as the “South End Core”. As you can guess they watch Malta matches from the Curva Sud. Whilst the island of Malta is littered with pubs and bars, there aren’t really any places to drink around the stadium. The Ta’ Qali National Park appears to be a great location for a picnic! Fans can purchase official merchandise of the Malta National Football Team by visiting the TeamMalta merchandise store at the Millennium Stand of the National Stadium, which is open Monday to Friday, or online by following this link to the MFA Shop. The Malta Football Association also offers the public a chance to experience the national stadium through a guided tour. 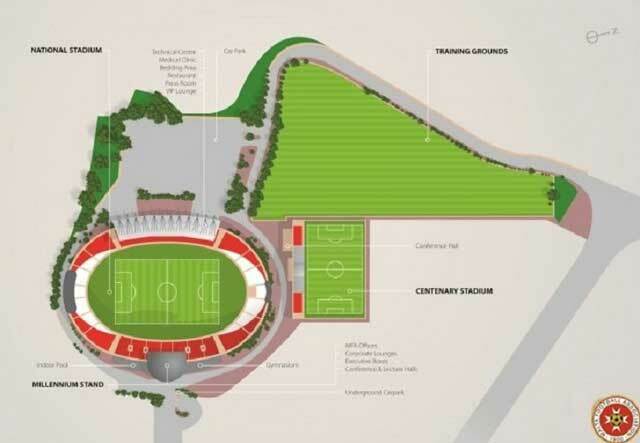 On it you can see the centenary stadium, training grounds, national stadium, tv interview area, national team dressing room, tunnel to pitch, the pitch, VIP area, trophies lounge and merchandise store. Tour days are Wednesdays and Fridays although tours will not take place in case of extreme weather, an international match or a public holiday. Tours start twice daily at 10.40 and 12.40, usually lasting 80 minutes. You can buy tickets for 5 Euros from the reception at the Millennium E Entrance. To find out more information you can email [email protected] or phone them at (356) 2338 6282/4. The stadium is used by several football teams on the island including Birkirkara who traditionally play in yellow and red stripes. 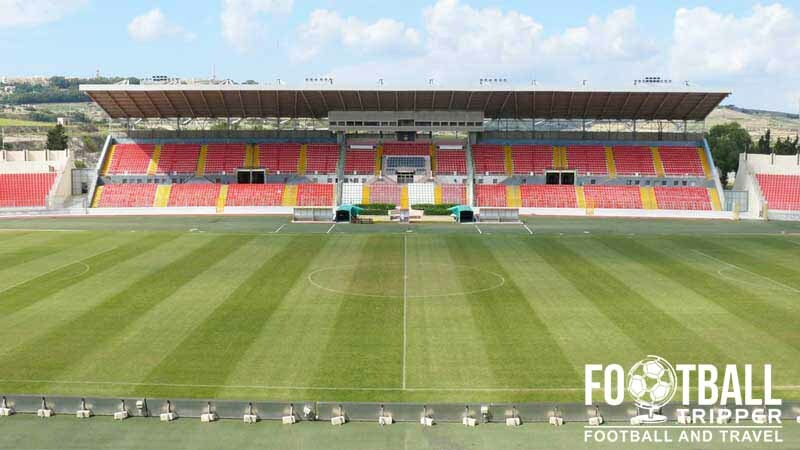 Tickets to watch football in Malta can either be purchased online from Malta Tickets which is the official vendor, via the telephone box office (27.842.538) or in person at the various sales points around the stadium on matchdays. For international football matches you should acquire your ticket’s in advance through your country’s Football Association/federation. Malta is a small island in the Mediterranean Sea which lies between Southern Europe and Northern Africa. It is mainly comprised of three inhabited islands: Malta, Gozo and Kemmuna. 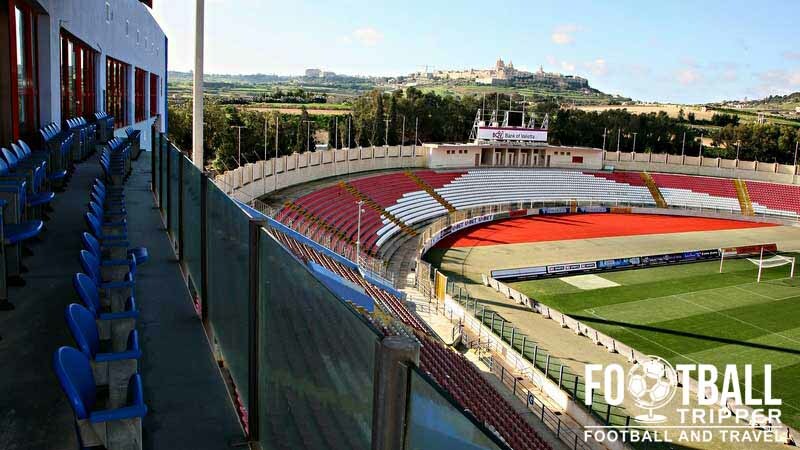 Malta’s National Stadium sits within the area of Ta’Qali which is is named after, close to the city of Mdina which is centrally located within the island. There is a underground garage at the stadium which contains 90 VIP spaces, as well as plenty of parking for the genera public around the ground on matchdays. The island’s only railway line closed back in 1931 so you can disregard this as a form of transport! Ta’ Qali is served by a bus stop simply known as “Stadium” towards the east close to Malta Aviation Museum. It is served by the 106, however the last bus is said to depart well before the full-time whistle of most evening matches so it’s not much use. A look at the exterior of the West Stand. Note the cars which are parking on any available space. The island is served by Luqa Airport, and Air Malta who are the county’s national airline. Sometimes known as Malta International Airport, the runway is located 10.5 km south-east of Ta’ Qali. Upon landing the easiest way to travel to your destination is via the White Taxi which has a convenient list of fixed rate fares depending on where you wish to go. The two closest hotels are The Xara Palace and Point de Vue 2.5 km south-west of the stadium in Mdina. There are much more accommodation options however in the built up touristy areas of Saint Paul’s Bay and St Julian’s which both feature recognisable names such as Hilton and Radisson Blue amongst other highly rated hotels.